My daughter, Rachael, who worked the tunnels with the cats; waiting for them to be brought to her. A serious and important job that she worked since she was 13 years old. Going to Kansas City was always a thrill for the opportunity to visit with family, my son, his wife and children!!! So proud…It’s a hotel room-wow!!! One of my 3 granddaughters-she’s now 15 and a knock-out!!! My son, Michael, admiring Tigger…in between shows. Visiting the petting zoo in between shows. From there we joined Amman C. Hill’s Great American Circus-leash act combining magic and behaviors. 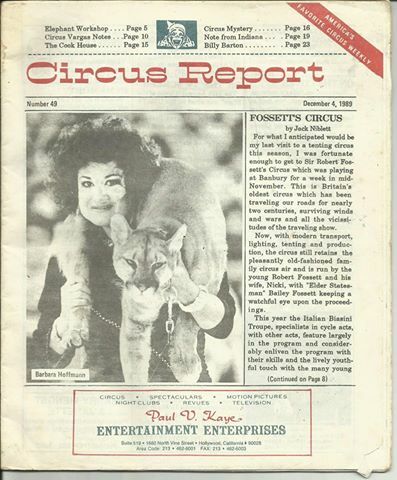 After completing our first circus engagement, we worked on our own at shopping centers, fairs and festivals as time went on, we became the largest mixed cat act for many years, presenting, tigers, leopards and pumas all at the same time. Featured mostly as an education show and presented award winning shows throughout the United States and Canada at fairs and festivals. The shows are long gone…life so very different and left with the memories of happier times and just as these pictures showed up, so the ‘purged papers’…another day another time and another page waiting to go up!!! History can not be changed; STOLEN dreams by jealous, selfish people whose claim to fame is destruction of people and the lives of animals their claim to fame is their glory in death of the animals they steal. 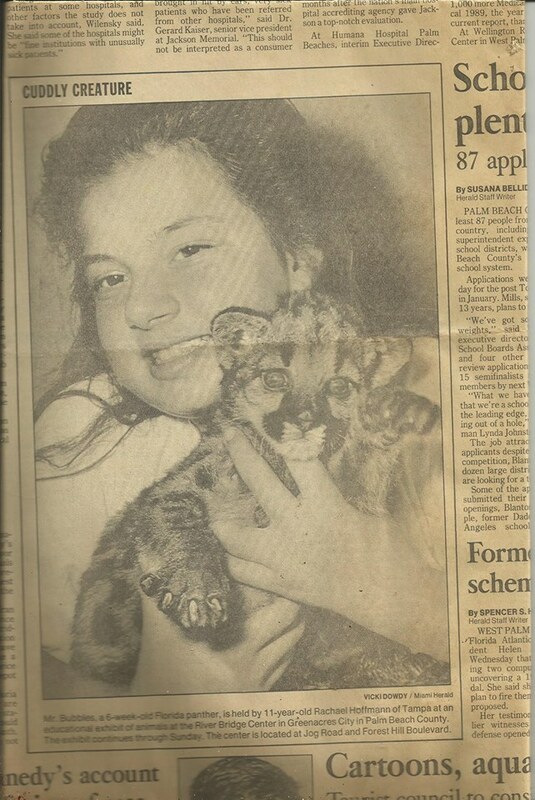 and kill…the history ignored but never forgotten…the animals were registered USDI and USDA…continually inspected…MORE THAN TWO DECADES!!! OMG…I was just overwhelmed by your past, the beautiful cats and the beautiful YOU! We were “SOMEBODY” then, you, me and the others, until the evil people came and destroyed us and killed our animals and our dreams. I so enjoyed seeing these photos, Barbara! Since being a little girl I have always loved the glitz of the circus, it’s performers and especially the wonderful CATS. I wish I could have seen yours! :-( I have always had the smaller variety.